Jason Chan once worked at Massive Black (and also once drew Kotaku mascots). He's now at Riot Games, the guys who make League of Legends. 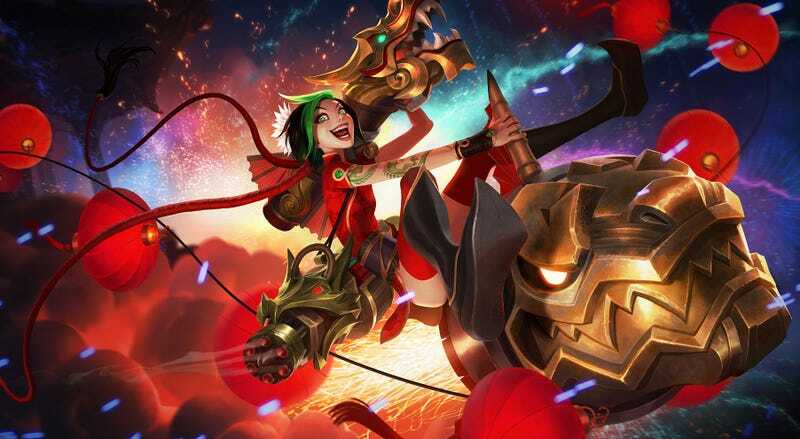 I'm not the world's biggest League of Legends fan, but hot damn, every time I see the character art for the game I get tempted. It's a testament to not just the artists involved, but the chaotic nature of the game's lore itself, that you can throw so many different styles into one game and still somehow have it all (for the most part) come together. These illustrations, all done by Chan (though remember, there's a whole team of artists responsible for various character designs), are for the respective character's splash pages. You can see more of Jason's work at his personal site and ArtStation page.